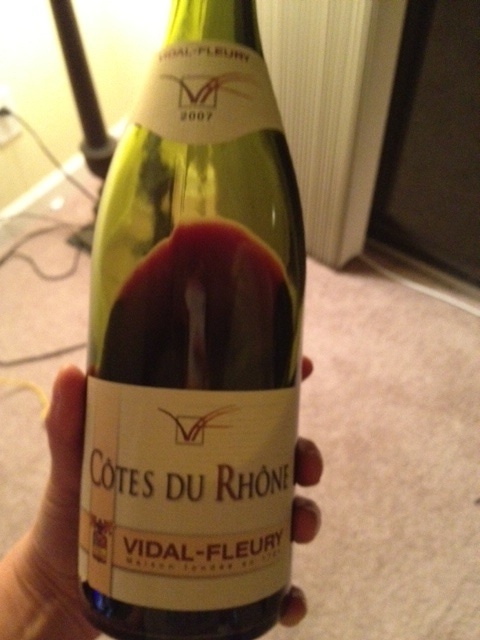 I am really enjoying Rhone varietals lately, especially the Grenache/Syrah/Mourvedre blends. I’ve tried a few good ones from South Africa, Australia and (of course) California. This one has a nose of cherries, black pepper, a little smoke, and some stinky dirt. The midpalate has really tart fruit – lots of sour cherry and the tartness continues on the finish. I wish the finish would have been more complex. I definitely like more roundness and ripeness in my wines. I didn’t feel that this wine lived up to it’s nose, but the acidity was good.